This may be my new favorite soup recipe. Although many tortilla soup recipes call for simmering the soup with tortillas and cilantro mixed in, I prefer leaving these ingredients out and using them as a garnish. That way the tortillas stay crisp and the cilantro remains bright green and flavorful. 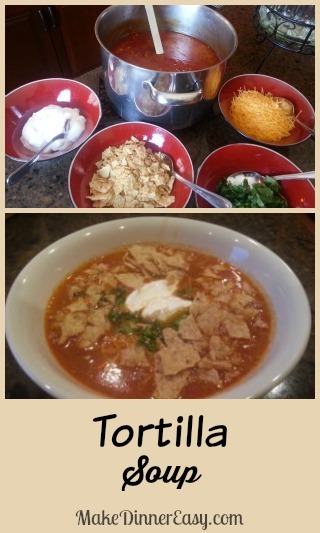 I think my kids like this tortilla soup recipe, not only for the taste, but also because they can add their own toppings. 1. Heat olive oil in a large stockpot. Add onion and garlic, and sauté until tender. 2. Remove pot from heat, add flour and stir until the flour is mixed in very well. 3. Return the pan to medium heat and add chicken broth. Stir constantly until mixture begins to thicken. Add remaining ingredients, reduce temperature to low and simmer for at least 20 minutes. Serves 4-5. 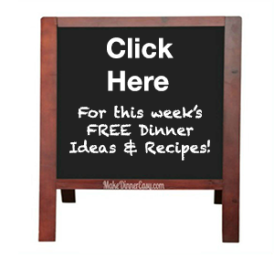 This recipe can be doubled and leftovers can be frozen. 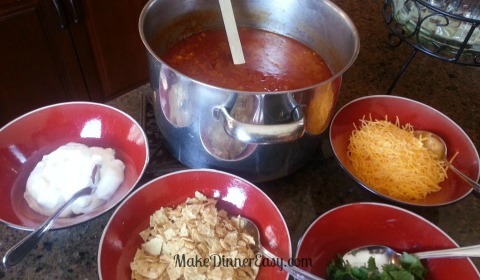 This is a great soup to make, not only for a weeknight dinner but it also works great for a party. You can make the soup in advance and place it in a slow cooker on the "keep warm" setting. When you're ready to eat, place bowls of toppings out near the slow cooker and let your guests serve themselves!